If you are familiar with the Range Rover Evoque, you may notice the above information is somewhat overlapping with the AWD system used on the Evoque, which is supplied by GKN. The Evoque’s AWD system is called “GKN Twinster”. In fact, GKN has been working with Ford to develop AWD system for the Focus RS, based on the Twinster system. 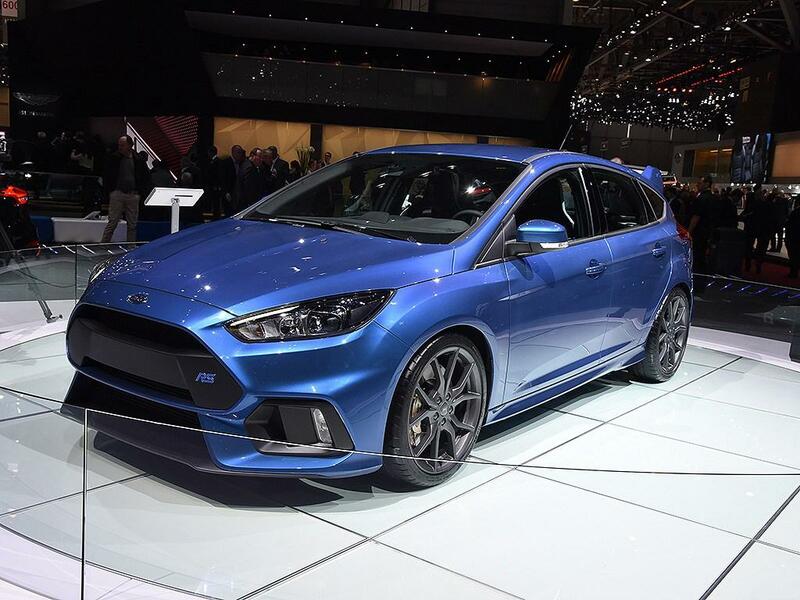 Basically speaking, the Focus RS AWD system can be categorized as the multi-plate clutch coupling type, it has two clutch packs: one for each rear wheel. In below, I will provide a brief review on this AWD system. Attached to the transmission’s final drive differential, this unit is in charge of sending engine power to the rear wheels through a propshaft connected to it. In application on the Range Rover Evoque, the PTU has another functionality: it can disengage the PTU’s connection to the transmission output shaft, which effectively makes the vehicle to be FWD. 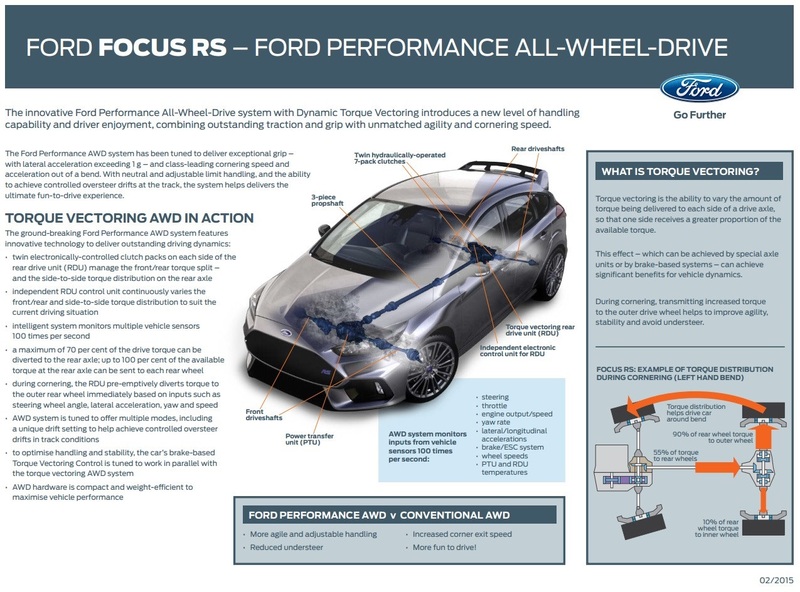 However, the application on Focus RS will not has such feature (for performance consideration), since it takes about 0.3 seconds to re-connect the AWD system, which is too long for Focus RS’s racing purpose. On the Range Rover Evoque, the RDU also has the disconnect feature, which also separates the rear wheels from the propshaft, therefore minimizing most of the parasitic loss, and enhances the fuel efficiency. 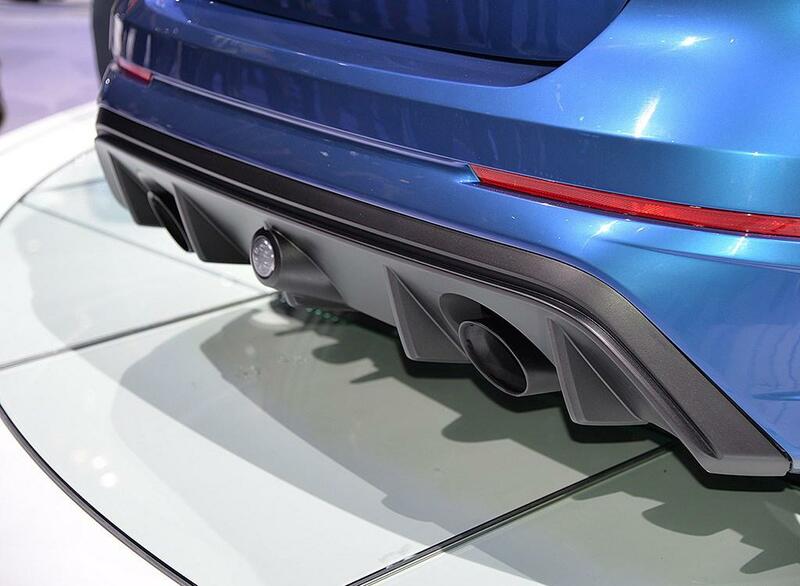 But as is mentioned above, the Focus RS will not has this feature too. By using one clutch set for each wheel, it is very easy to control how many percent of power is transmitted to each rear wheel. For example, fully engaging the left clutch pack and fully releasing the right clutch, will make the rear wheel power distribution to be 100:0; when equal pressures are applied to the friction plates in the two clutch packs, the rear wheel torque distribution is 50:50. There is one major difference in the Focus RS AWD system that differentiate it from the Range Rover Evoque. Let’s pay attention to how the torque vectoring is implemented using the clutch coupling method. Here is a common sense: if you want to drive/propel something, the input shaft need to spin faster (or at least, equally fast) than the output shaft; this is because it makes no sense to drive something which is spinning faster than you. In that case, you are not supplying power, instead you are just generating a braking/dragging effect. Think about this scenario: you make a sharp left turn. During this process, the right rear wheel will be the fastest spinning one among all the 4 wheels. This means the RDU’s right clutch pack’s output plate (which is connected to the right rear wheel) will be spinning faster than the input plate (which is connected to the propshaft from the PTU). From the above discussion, it is impossible for this wheel to receive any power (the clutch need to be released to prevent generating the dragging effect). However, according to Ford, the AWD system can send most of the power to the right rear wheel in this case. How can they achieve that? Is it a violation to the law of physics? The answer is: Ford/GKN have added a special component in the system. Here is what I know at this moment: either in the PTU or in the RDU, Ford engineers put an extra gear set into the GKN system (to create different final drive ratios between the front and rear wheels). This gear set will manually create a spinning speed difference between the propshaft and the rear wheels (the propshaft will spin faster). The amount that the propshaft spinning faster, is more than enough to cover the increased rotation speed of the outer rear wheel during cornering. 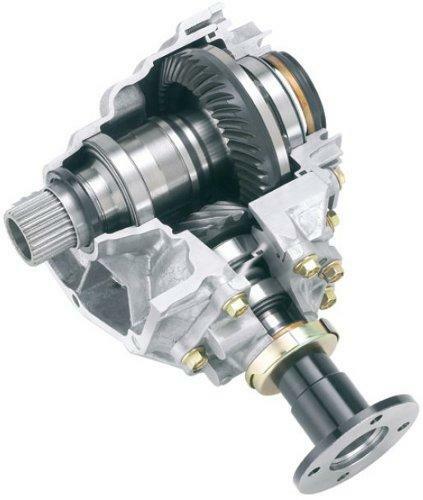 This means even the rear wheel will spin faster when you make a turn, the propshaft can still spin faster than that wheel, which makes it possible to transmit large amount of torque through the clutch coupling. – Makes it possible to distribute a higher percentage of torque to the rear wheels. I will explain the theory behind this in another article, here I will show you an example: suppose Ford did NOT put that extra gear set in the system, which means the rear wheels and the propshaft will spin at the same speed when the car is going straight; and let’s also suppose the front/rear weight distribution of the Focus RS is 60:40 (because it is based on a FWD platform). Then our conclusion is: under normal driving conditions (all 4 wheels have reasonable traction), the clutch-coupling-type AWD system cannot transmit more than 40% of torque to the rear wheels, no matter how you enhance that AWD system. If you want to know why, please subscribe to our monthly email letter, we will publish a special issue later to answer this question. Because there is always sliding friction between the input and output friction plates of the clutches, to prevent overheating and premature wear, the clutches can only be “slightly” engaged in most of the time, which means the rear wheels will get meaningful amount of power only in some special circumstances, such as: hard acceleration, cornering etc., so it can be considered as an “on-demand” type AWD system. 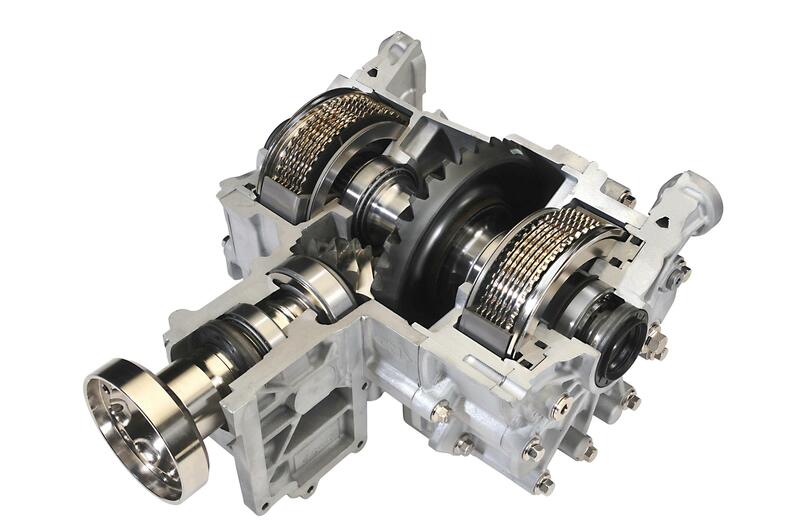 Since the sliding friction always exist, therefore the clutch pack will wear off gradually. Special measure/consideration need to be made in the design to compensate the wear and maintain proper AWD ability. We have 29 high-resolution live photos of the Focus RS, taken during the Geneva auto show. Please enjoy the gallery here!